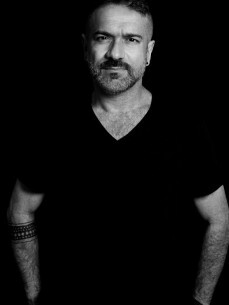 Brazil’s top House DJ and critically acclaimed remixer/producer DJ Meme gained recognition early in his career with remixes for major artists as far back as the early Eighties creating mega mixes for the likes of The Bee Gees, New Order & the Pet Shop Boys among others. In 1996, Meme remixed of “Estoy AquiI” for the then newcomer Shakira which exploded on the club scene and became a worldwide hit, resulting in a huge demand from major labels for Meme’s ability to inject underground dance rhythms into popular music. As a result Meme went on to produce stunning remixes for major pop acts including Mariah Carey, Toni Braxton, Dido, Ricky Martin, Des’ree among many to great acclaim and scooping up no less than 23 Gold Records, 15 Platinum and 3 Diamond records and many awards in the process! Fast Forward to today and DJ Meme’s magical heartfelt music is a regular on our soulful dancefloors worldwide, with his talent for producing beautiful emotional house laced with his signature strings and disco flavours sometimes spliced with echoes of his native latin roots championed by the World’s DJ Elite and clubbers alike. Meme has earned himself the title of one of the remixers of the moment, remixing contemporary soulful anthems including Kenny Bobien’s ‘I Shall Not Be Moved’ (Soulfuric), Groove Junkies ‘Dr Feelgood’ (MoHo), Audiowhores ft Pete Simpson ‘Not Going Back’ (Papa), Kenny Thomas ‘Keep The Fires Burning’(Soul-Fi), Jamie Lewis & Michael Watford’s ‘It’s Over’ (Defected) Knee Deep’s ‘Me Kumba’ (Knee Deep), Darryl D’Bonneau’s ‘Say You’re Gonna Stay’ (Jellybean Soul) and the massive orchestral dance anthem ‘The Cure & The Cause’ by Fish Go Deep (Defected) among many others, And with many more gems forthcoming, Meme is currently one of the busiest men in dance! In 2005 Meme turned his hand to his own productions releasing “Viva” under the moniker Mandala, on Knee Deep Records, which gained broad DJ support worldwide and even reached the #2 position on DJ Magazine’s Hype Charts. His last single, a latin house fuelled giant titled “V.A.I.” for Soulfuric Records exploded on the dancefloors, reaching #5 on DJ MAG’s Hype charts, and gained support by DJs including Dimitri from Paris, The Groove Junkies and Aaron Ross, just to name a few.